Should You Host Blog Images On An External Server? For most blogs and websites out there, the bulk of their size comes from images. For videos, most bloggers resort to any of the video sharing websites such as YouTube, Vimeo and so on. But what about images and other media content? It only makes sense to host large images on a faster third-party server as well. Fortunately for bloggers, this isn't an alien concept. There are much faster servers out there known as CDNs (Content Delivery Networks). We'll talk about using third-party services for hosting your images. A lot of professional blog networks and websites use CDNs for delivering images faster. These CDNs often do not come cheap. But there are inexpensive options, as well as some free ones. Why go third-party at all? 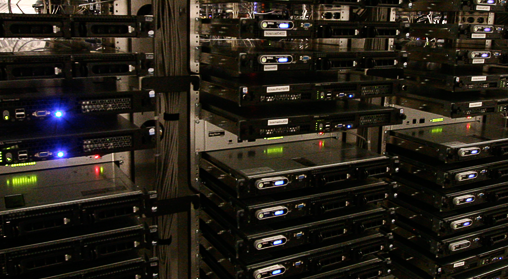 The advantages of third-party servers are numerous. The most obvious one is speed. Typical web servers might not be well suited to serve media content quickly, especially large files. CDNs take care of that problem since they're built for media capabilities. Secondly, exporting/migrating your blog is a huge hassle if there's a lot of media content as well. Third-party servers give you peace of mind during migration, because you only have to move the text content. It is faster, and much more efficient. Hosting images on external servers is easy. There are many well-known image services that you can use. Many are free as well. We're always skeptical of 'free' services out there, be they email, web hosting or any other software service. So we probably wouldn't recommend trusting these services completely. This is not to say that third-party networks are bad. Some of these are really well-known services, and many people trust them. However, I'd take a little pinch of salt when trusting them entirely with my blog images. With that said, let's look at some of the most well known image services out there you can use for free. 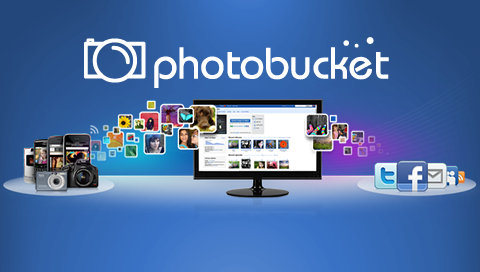 Photobucket is by far our top pick, It is so easy to use and its free. You can upload a variety of image sizes and image files, you can even upload videos. The image url is SO easy to find. You simply upload your image add it to an album and hover over the image to grab the code - simple. The site is very user friendly and easy to navigate. Now if you have a site that stores and hot links MASS amounts of images (very rare) then Photobucket is not for you, but if you have an ordinary blog and just need somewhere to store post images etc..... Photobucket gives you a ton of space and it's free. Perhaps not the easiest to work with, but this one is full of features. Yahoo gives you an insane amount of storage - 1 TB - absolutely for free! And Flickr has come a long way from the frustrating UI to the feature-rich offering that it today. So the question remains, should you use these services? Is it SEO friendly? In my opinion, these services are very trustworthy, and have an excellent trust rating. So you need not worry about them 'running away' with your pictures. However, do be mindful of their terms and conditions, especially if you're acting as a business. Also, there's no SEO disadvantage in using a third-party image hosting service. It's how you present your content that matters, not where it is hosted physically.